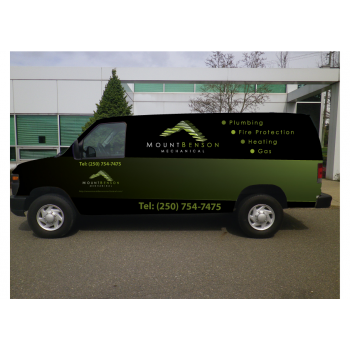 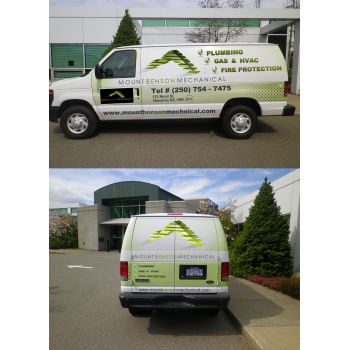 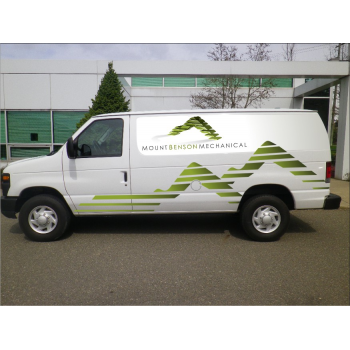 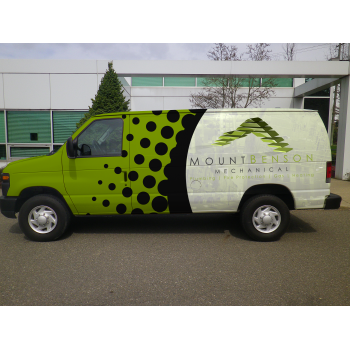 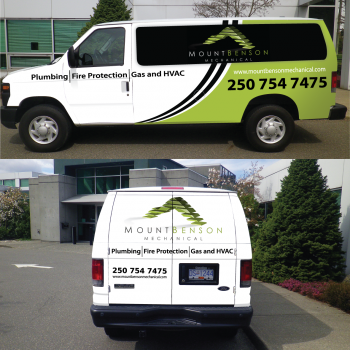 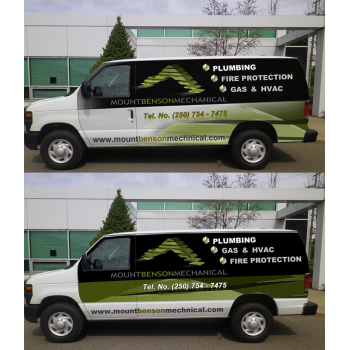 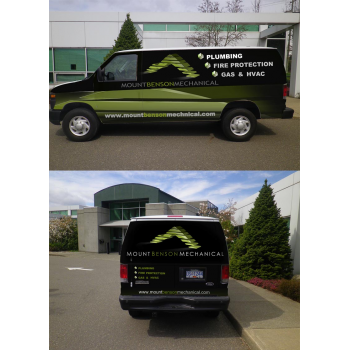 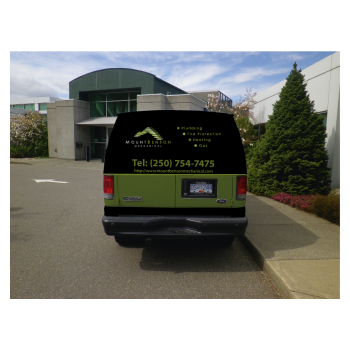 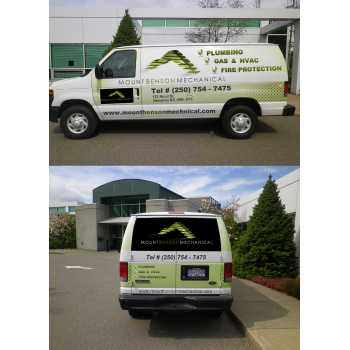 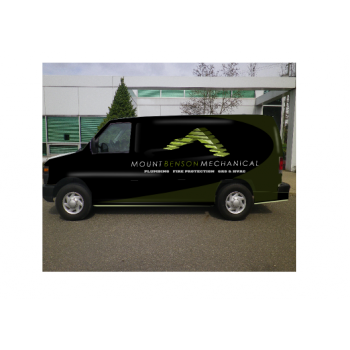 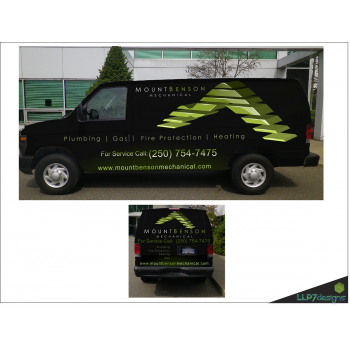 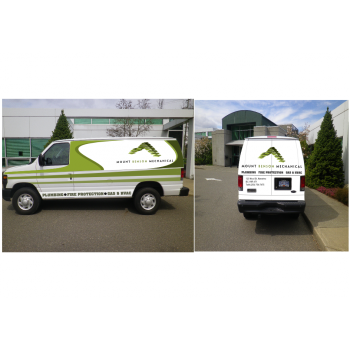 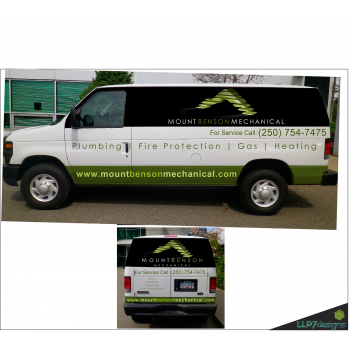 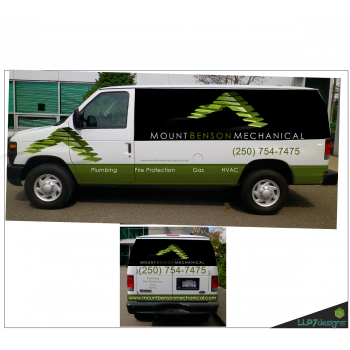 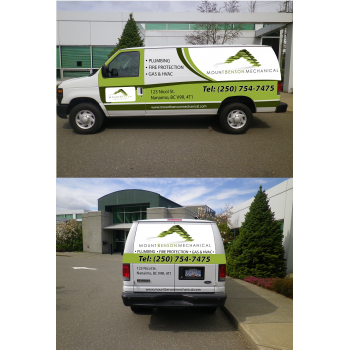 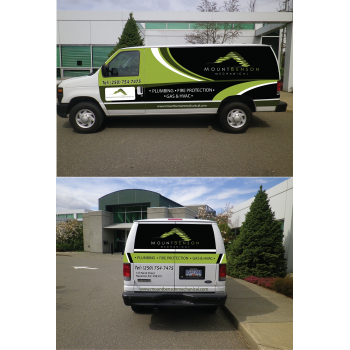 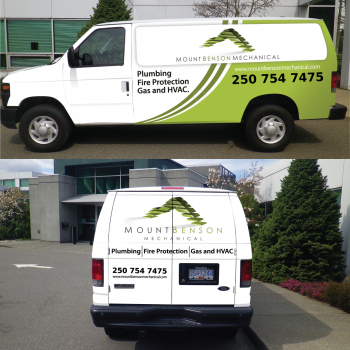 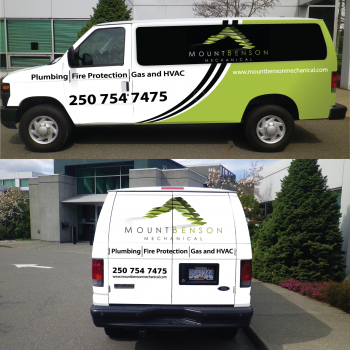 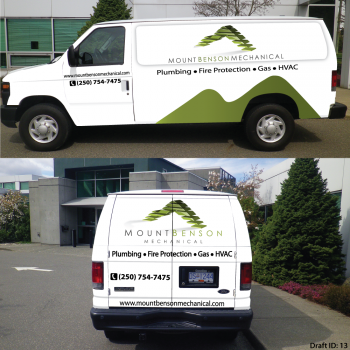 Service Vehicle Signage Graphic for Mt. 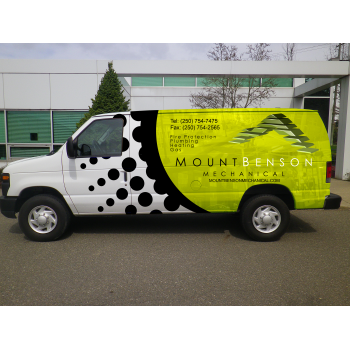 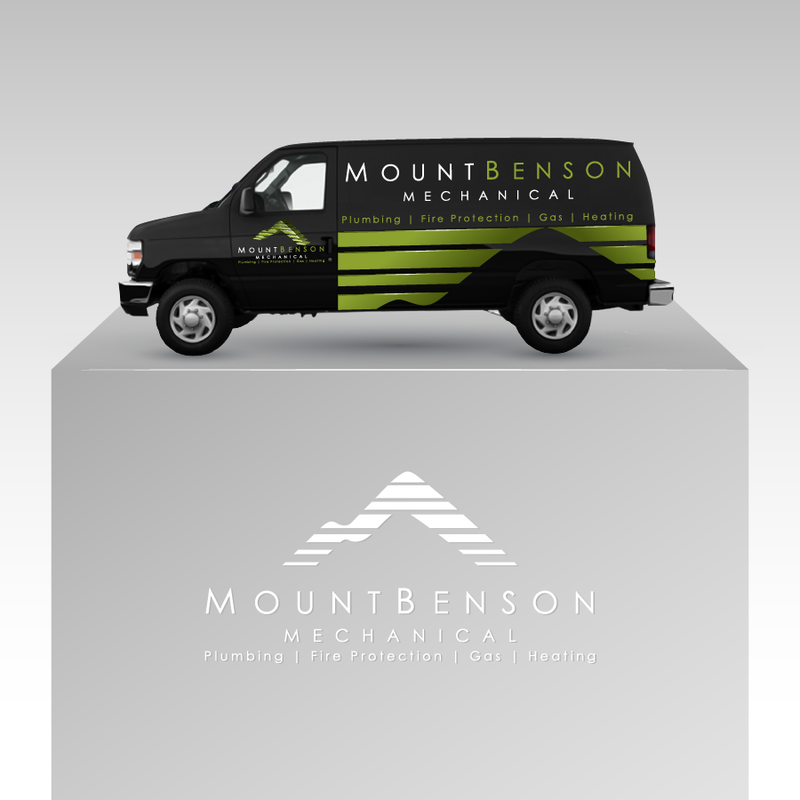 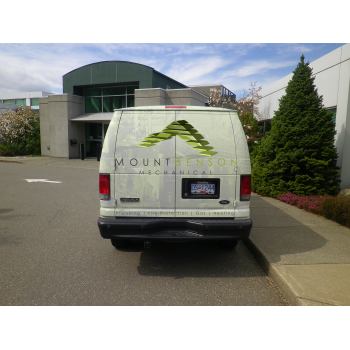 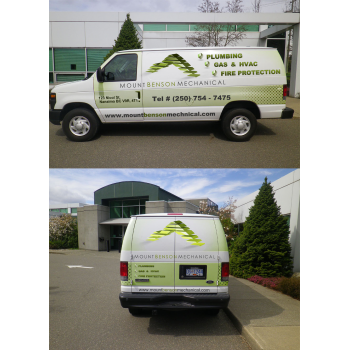 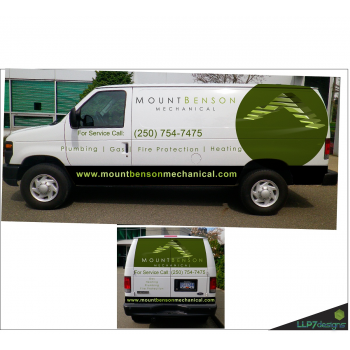 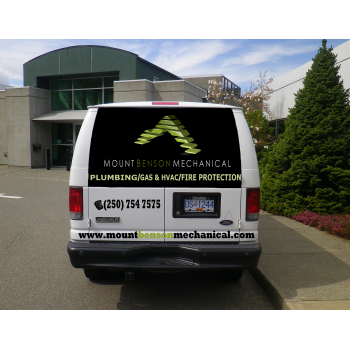 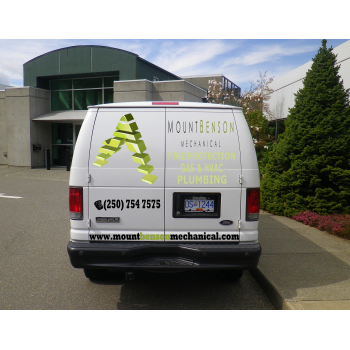 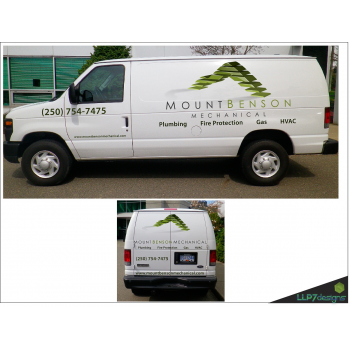 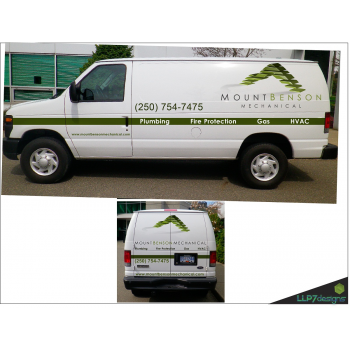 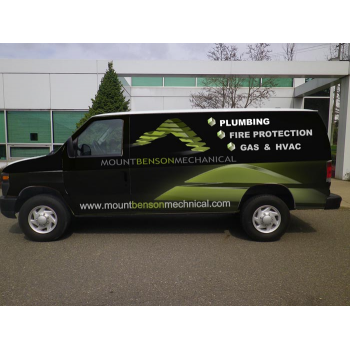 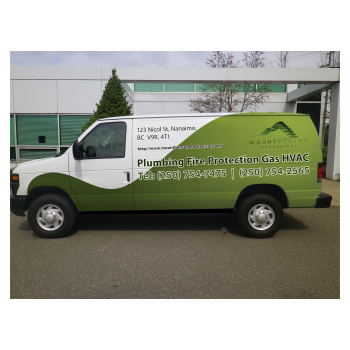 Benson Mechanical (1991) Ltd.
Mount Benson Mechanical (1991) Ltd.
We are a full service Mechanical Contractor, specialzing in Plumbing, Fire Protection, Gas and HVAC. 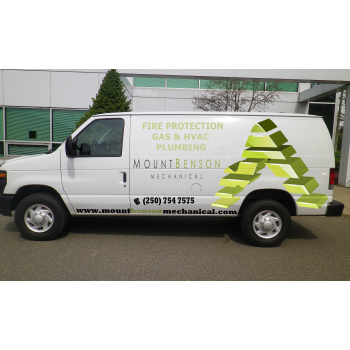 We offer installation and service. 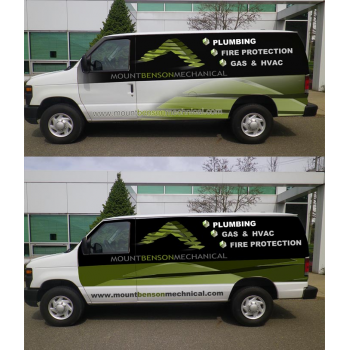 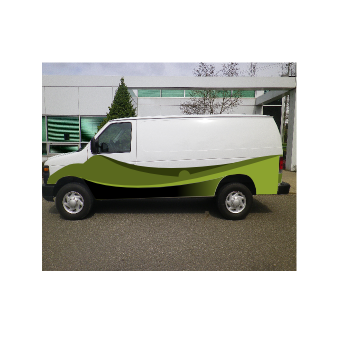 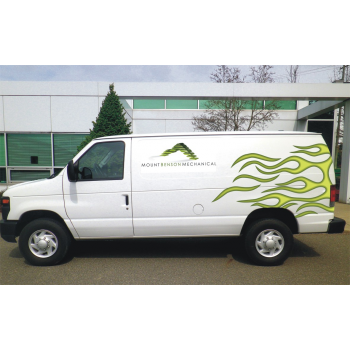 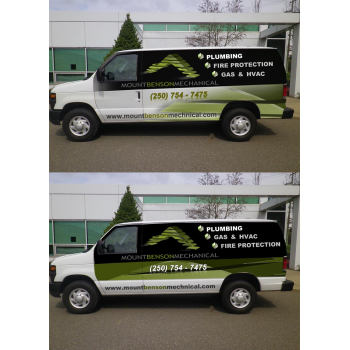 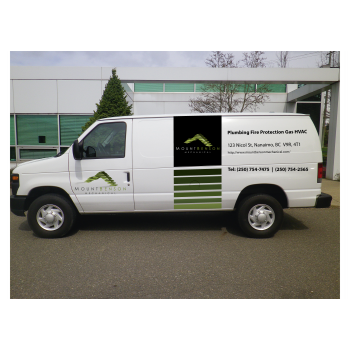 We want a vehicle wrap/decal that is clean, modern impactful easy to read. 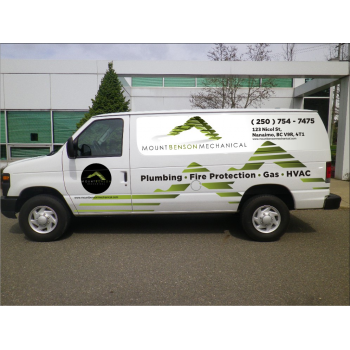 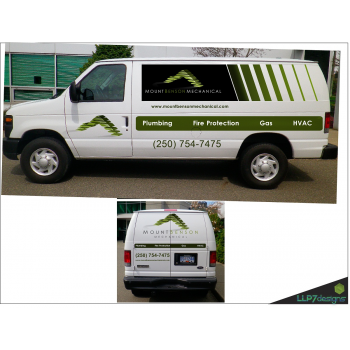 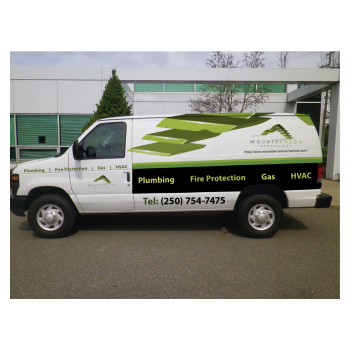 We are a full service Mechanical Contractor, specialzing in Plumbing, Fire Protection, Gas and HVAC. 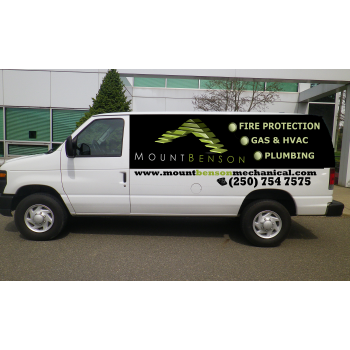 We offer installation and service. 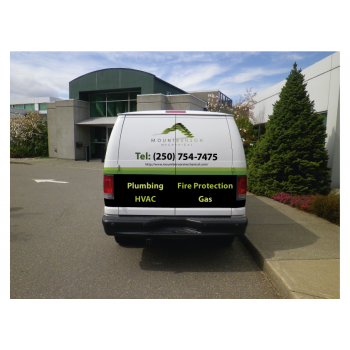 Potential clients who require our service. 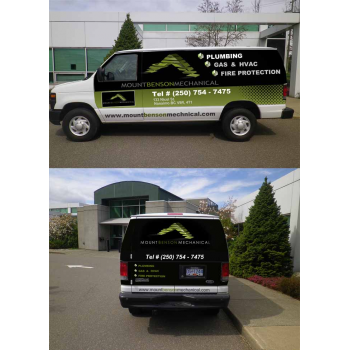 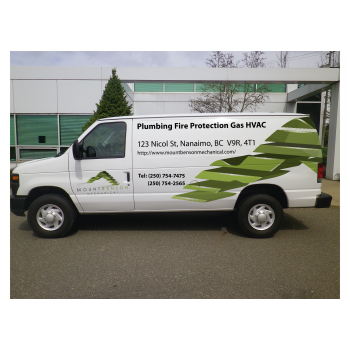 Vehile should incorporate our Logo, our name, website, Phone numbr and "Plumbing Fire Protection Gas HVAC"